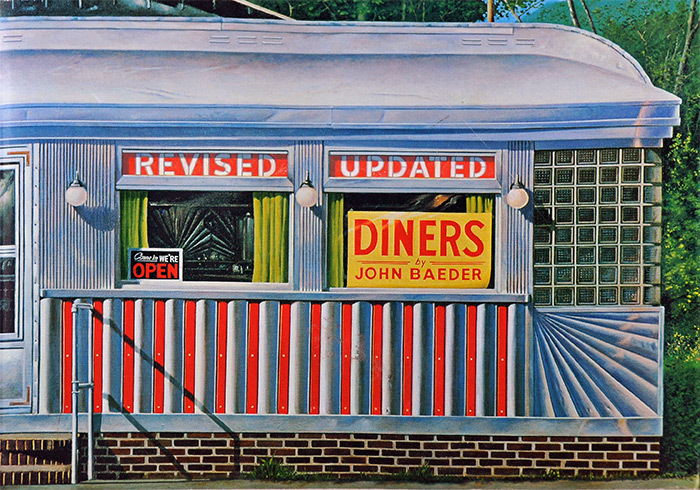 69 color and 36 black & white illustrations of paintings by Photorealist painter John Baeder. Included here are paintings and descriptions of more than 100 diners from every part of the United States. 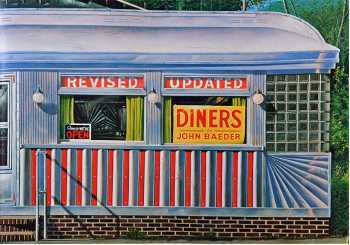 The artist's own captions introduce each diner - many of which no longer exist - and describe their food specialties, their sometimes quirky histories, and their owners, managers, or patrons. In the first edition 50 paintings were reproduced in color; for this new, revised, and updated edition, there are 69 in color. The artist has selected forty recent paintings to replace earlier works, most of which were shown only in black and white.